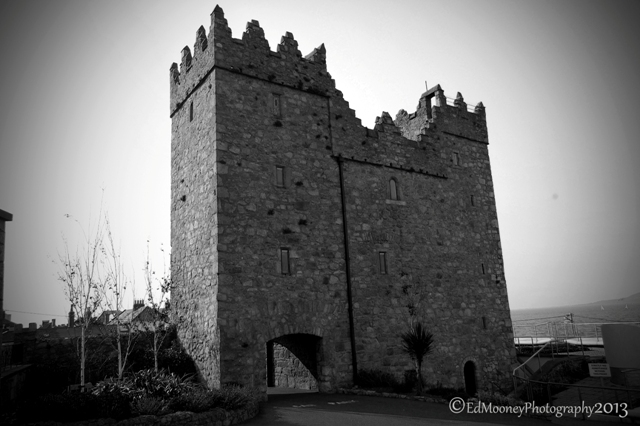 Another Castle that I found near Dalkey was Bullock Castle. It is believed to date from the twelfth century, in and around 1150AD. 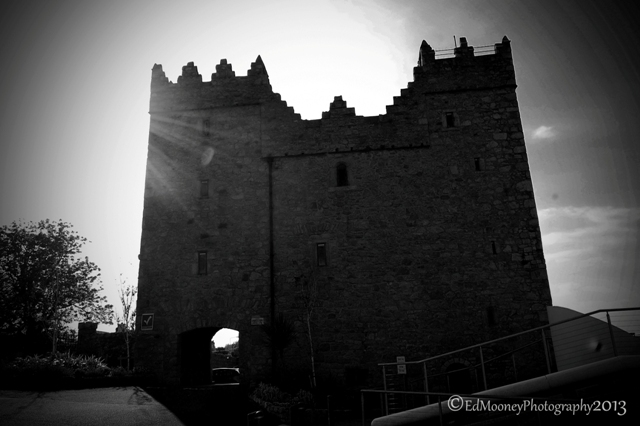 Apparently it was built by the Cistercian monks of St. Mary’s Abbey in Dublin, in order to protect their lands and fishing rights from regular attack. The site of Bullock Castle offered the inhabitants a perfect haven as it overlooked the harbour. The Battlements of the castle appear to be a series of steps with the castle being divided into two. 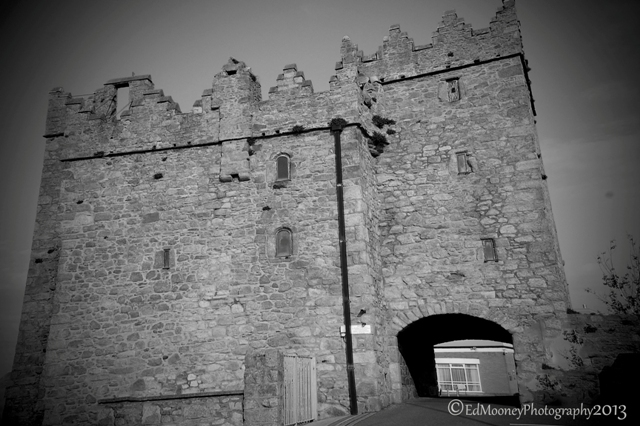 Constructed using a simple oblong shape, with the lower (vaulted) story probably used like the two remaining Dalkey Castles as a store. You can read more about Goat Castle and Archibald Castle in previous posts. The stone carving about 6m high on archway under the western tower is known as “The Dane’s Head”. The castle is oblong with a tower at each end, and the archway under the western tower was probably used to pass from one court to another within the boundary walls of the castle. You can also notice a Machicolation protruding from the upper part of the ramparts. For anyone whom has not read my posts on castles, a Machicolation fantastic defensive feature popular in many castles of the time. 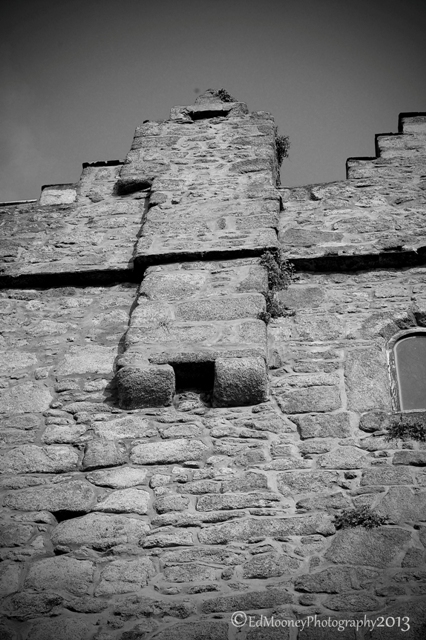 It consisted of an opening above the castle entrance which allowed the inhabitants to drop various things on unsuspecting attackers. The castle is said to have been famous as a ‘place of refuge’ for many visitors over the years, where the monks were known for their hospitality. Following on from the dissolution of the monasteries by King Henry VIII the castle was to be owned by many different inhabitants during its history. By the seventeenth century the castle remained in good condition but the same could not be said for the town. The port was no longer being used as frequently. 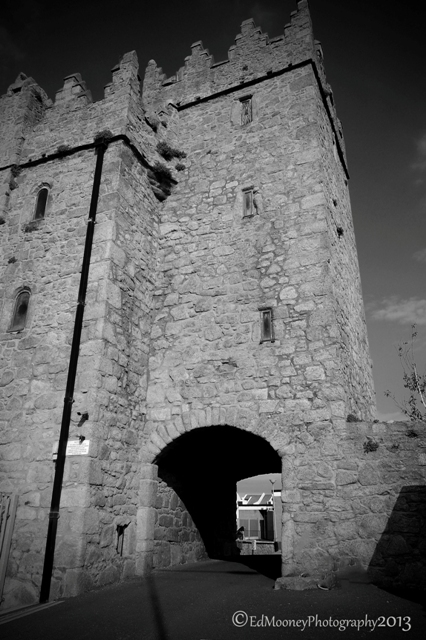 In 1641 John Fagan was in residence at the castle and reputedly helped the rebels out during the Rebellion. During the early part of the eighteenth century the castle came under the stewardship of John Watson. 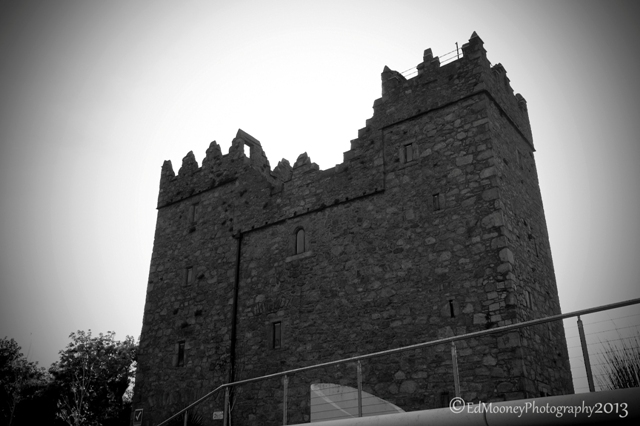 He built a house beside the castle and offered shelter and assistance to people in need. A William Hutchinson whom later became the Harbour Master in Dun Laoghaire, stayed in Bullock Castle for a period from 1817 to supervise quarrying in the area and to manage the pilots who sailed the boats out of the harbour. The castle currently belongs to the Carmelite Sisters. In 1964 they set up ‘Our Lady’s Manor’ beside the castle, it acts as a nursing home for the elderly. Today the castle is an historic monument and cultural centre. 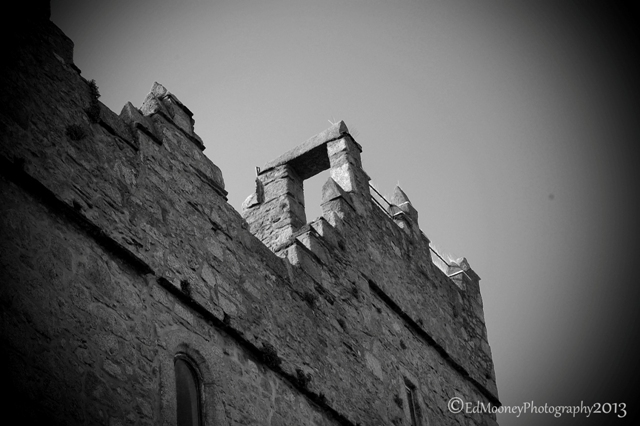 This entry was posted in Castles, Diary of a Ruinhunter, Historical, Medieval, Photography, Places of Interest, Ruins and tagged 1150AD, 12th Century, Abbey, Battlements, Bullock Castle, Carving, Castle, Cistercian, Dalkey, Dublin, Ed Mooney Photography, Fishing, Harbour, Ireland, Machicolation, Monks, photographer, ruins, St. Mary, The Danes Head. Bookmark the permalink. Are the nuns still running ‘our ladies manor’? I’d like a Machicolation for where I live, please. You know, I keep finding new ways to pronounce that word. Mack-ee-co-lay-shon. Mackie-cola-thon. Machimoshlon? It’s hours of entertainment, I tell you, probably because I’m not sure that I’m pronouncing it correctly in the first place. Hello: you know I love your pictures, they are incredible!!!!!!!!!!!! Gorgeous photos! I do love a good castle.